if you know your NYSSA ID # & password you may sign in. If not click on “Forgot NYSSA ID” to be emailed your information. If you need to create an account click “Register“. Members and prospective members may join online from your smart phone or any computer with a web browser (such as Internet Explorer or Firefox). You will need an email address along with a credit or debit card. For those without online capabilities public libraries offer access at no charge although there may be a small fee to print. 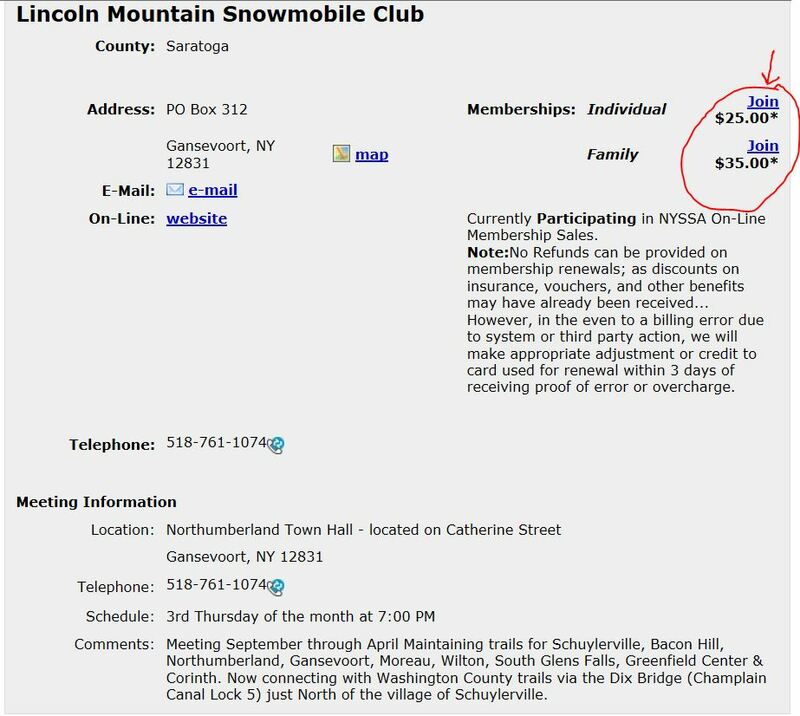 You may also mail a membership form into the club or come to a meeting. ** Note: All fields on the printed voucher must be completed in NYSSA’s online system and printed – Not handwritten. Vouchers must be signed before turning them in with registration renewals. Local DMVs are being mandated by the state not to accept vouchers that have any handwriting on them other than the signature. 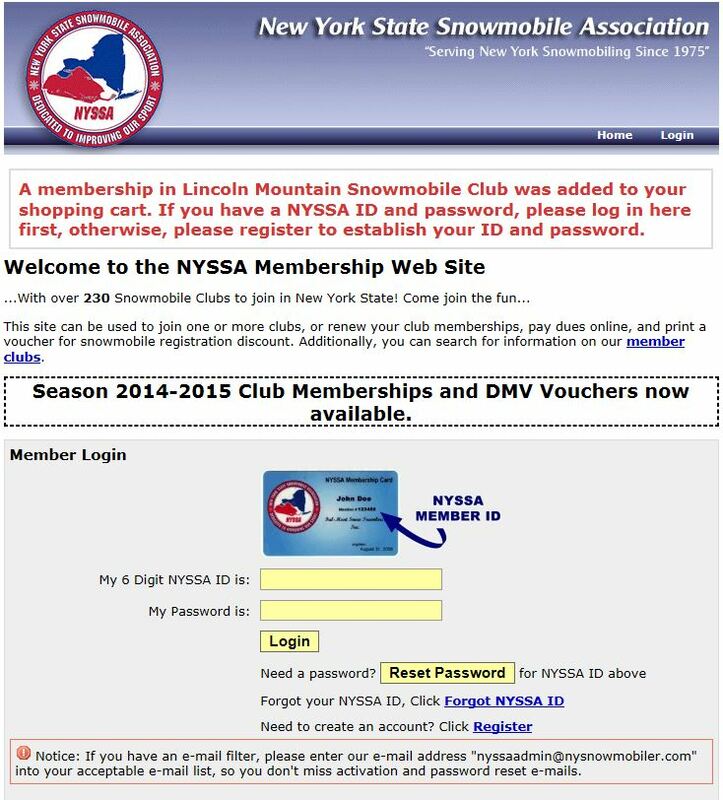 Important: when prompted to enter your Lincoln Mountain NYSSA Voucher ID Number (located on upper right corner of voucher document) do NOT type in dashes.